Specialised: Treatment of chronic lifestyle diseases without medication. Rachna has been writing on health and wellness for 18 years. She currently has a health column with BusinessWorld magazine, and has had health columns with Business Today, Outlook Business Magazine and TOI blogs. 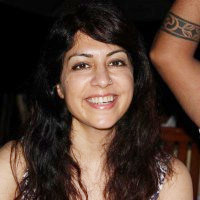 She has earlier worked with GE Consumer Finance, India Today, Business Today and PPC Worldwide, a United Healthcare group company. She had done over a 100 health workshops with employees of organisations like GE, Marico, Nomura, Accenture, Honeywell, Dunnhumby, Aon Hewitt, Aon Consulting, Cargill etc. Rachna is the brand ambassador for Gemini vitamin fortified cooking oil. Follow her on twitter as @RachnaRestores.